Michelle received her Physician Assistant education at Chatham University. 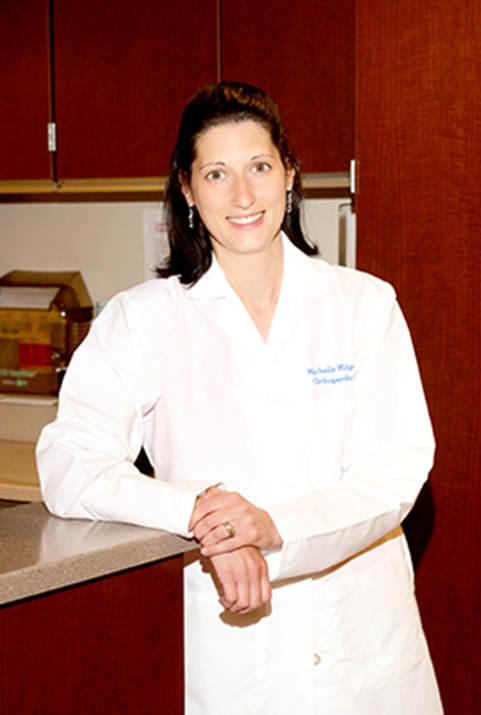 Prior to becoming a Physician Assistant, she received her Bachelor’s of Science from Slippery Rock University. Michelle has been Board Certified as a Physician Assistant since 2003 and has worked in various specialties of orthopedic surgery. Michelle joined Burke and Bradley Orthopedics in December of 2011. As a patient of Burke and Bradley Orthopedics you may be scheduled to meet with our certified physician assistants. The physician assistants work in partnership with our medical doctors. They assist our surgeons in the operating room and meet with patients pre- and post-operatively. Our physician assistants play a vital role within our practice and we are proud to offer you the opportunity to meet with them. Copyright © 2019 Burke & Bradley Orthopedics. All rights reserved.